One of the coolest things about Miller Street Dance Academy (MSDA) is that they are fully committed to community service as well as dance education. They’ve come up with a really unique way to make sure every student has the opportunity to give back – the MSDA Service Society. Every student is invited to participate and can become involved by taking part in projects that are hosted by both the studio and by other students throughout the year. Students can host their own projects by filling out a Service Society Application and submitting it to the Service Society Coordinator, Katie Knowles (Providence) or Mary-Neil Jackson (Baxter). For each project, different amounts of points are awarded for participation. The student with the most points at the end of the year receives an award. We absolutely love this Smarty idea! One of their most recent service projects was their “Penny Wars,” which raised an impressive $28,000 for the African Christians Fellowship International – read more about those “Penny Wars” here. The biggest reason MSDA is so committed to community service is that they realize that while a small percentage of our students will make dance their career, all will become citizens of society. 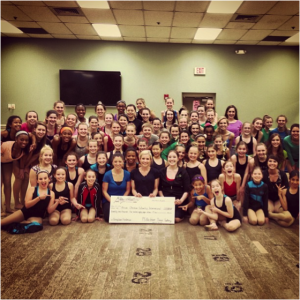 They feel that a mixture of dance education with a focus on academics and a strong sense of responsibility toward community all work together to create a well rounded, engaged child with a good sense of self-esteem. And, a dancer certainly needs good self esteem to become the best she or he can be! MSDA says that any dancer can be a member of the Service Society. All you need is an open mind, open heart and open hands. The current MSDA Providence location projects can be found here. 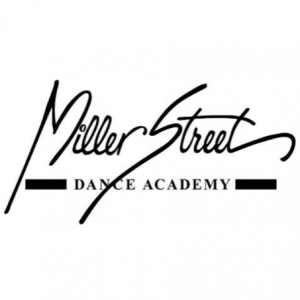 Miller Street Dance Academy is located at the intersection of Providence Road and Ardrey Kell Road in Charlotte and Baxter Village in Fort Mill. 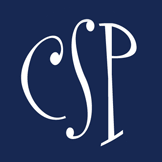 Find more information on their website or Facebook, Twitter, and Instagram.